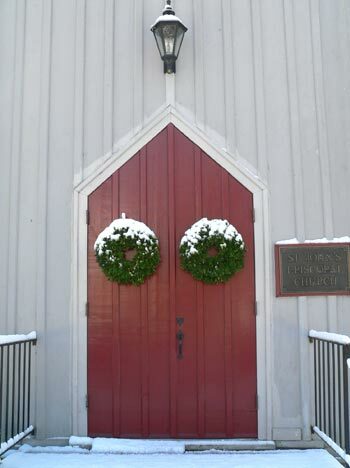 St. John's Episcopal Church: The land was ordained in 1849 and construction began in the Fall. 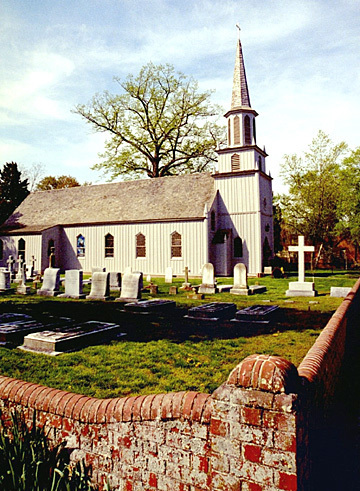 This wooden Gothic structure was completed in 1850 and consecrated in 1853 under the rectorship of the Reverend John Peyton McGuire, whose wife was Judith Brockenbrough. This is one of the two churches in South Farnham Parish which was established in 1683. The two original brick churches were completely destroyed soon after the Revolution and all the parish records perished, and we know that one church was burned. The beauty of this present structure is enhanced both in the interior and exterior by its simplicity. 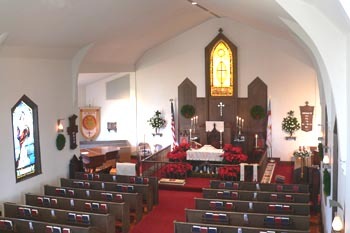 It has been in continuous use since its building as a church and has undergone restoration and expansion - six stained glass windows have been added over the years to enhance the historical and tradition perspective.